← My Article “7 Cultural Concepts We Don’t Have in the US” has over 200,000 Shares! 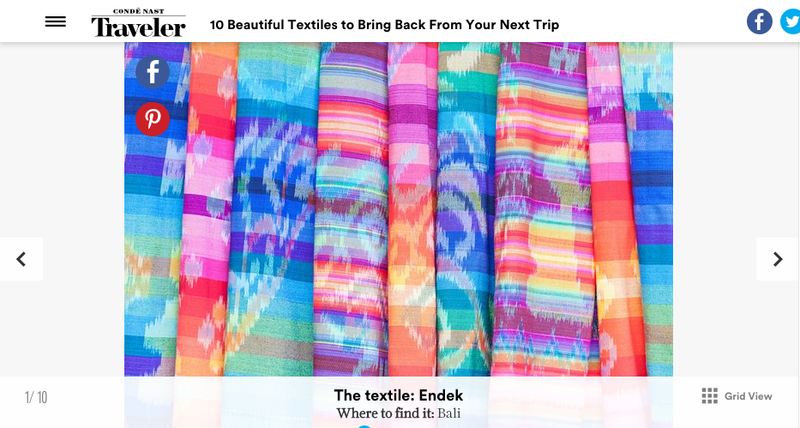 I love picking up beautiful textiles when I travel the world; I turned one of my favorite hobbies into a deep dive into which are the most coveted textiles in some favorite travel destinations for Conde Nast Traveler. This entry was tagged conde nast, slideshow, textiles, travel, writing. Bookmark the permalink.